This is the cheeky moment a brave wolf sneaked up behind a dosing lion and bit the end of its tail in a wildlife reserve in Botswana. 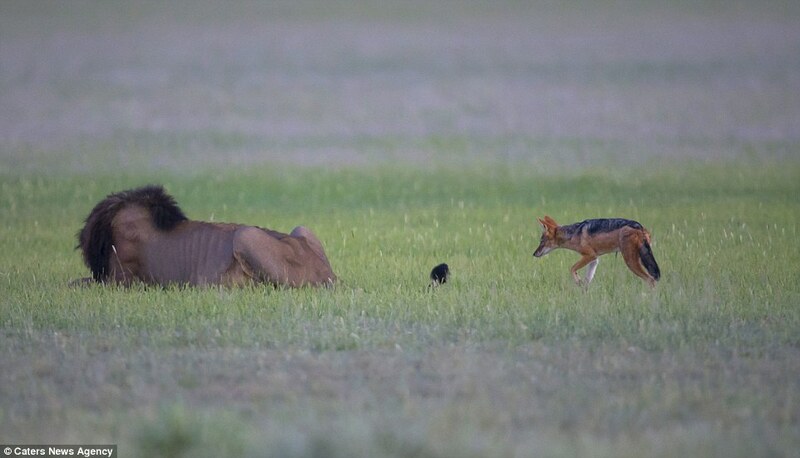 Feeling the sensitive pain in its tail, the lion quickly woke up and turned round to pounce on his enemy only to see the wolf making a very swift exit into the bush. 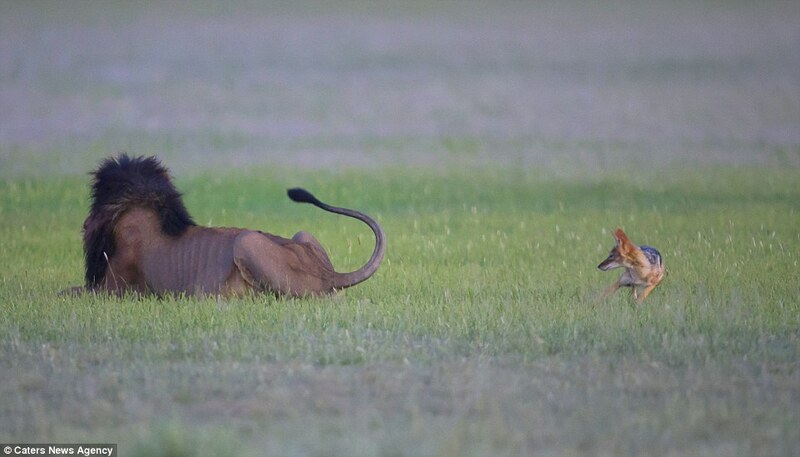 This startling scene was captured by photographer Mark Drysdale from Johannesburg, South Africa, who watched in amazement as the wolf approached the lion. Mr Drysdale, 54, was photographing animals in Piper Pan Central Kalahari Game Reserve when he spotted the lion and the wolf. 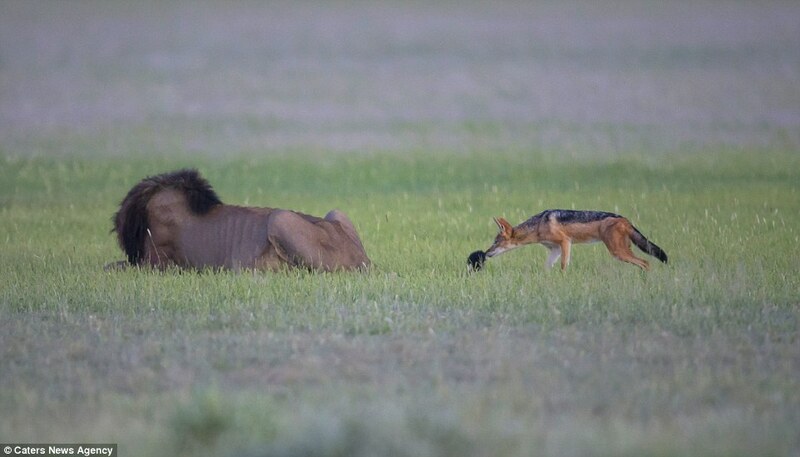 'I watched the wolf approach the Lion from a few different angles, as wolves always hang around the Lions to try and steal a few scraps from their dinner table,' he said. 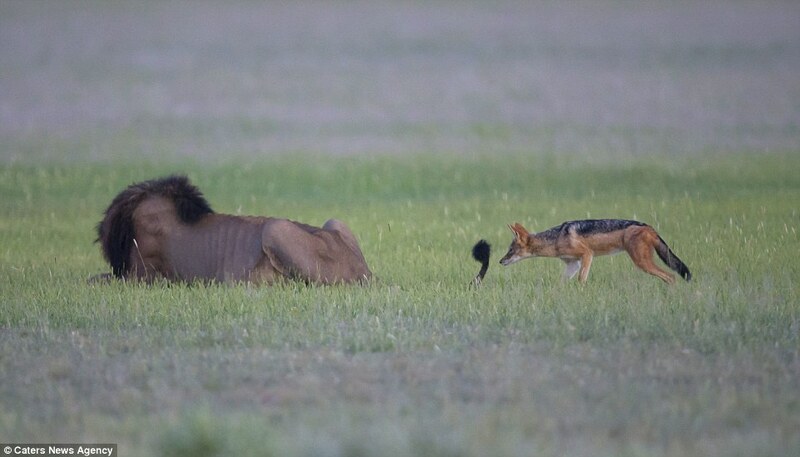 'This wolf sneaked up on the Lion from behind him and managed to close enough to have a munch on his tail because the lion was flicking his tail from side to side. 'I wondered what the wolf was going to do, but I certainly didn't expect him to bite the Lions tail. 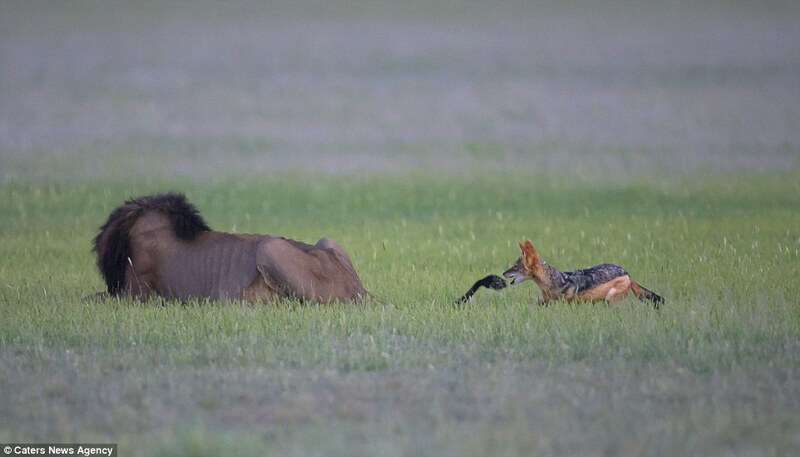 I thought the inter-action was very funny and typical of a bold naughty wolf,' he said. 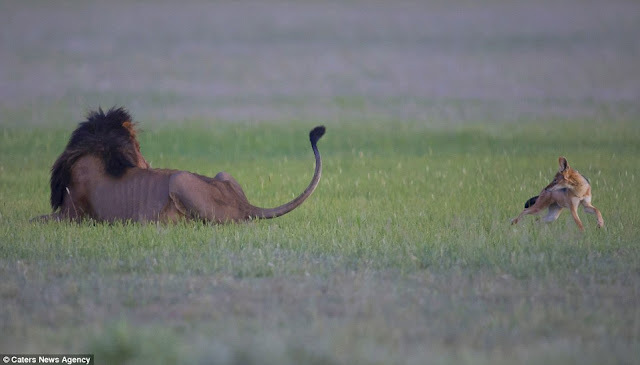 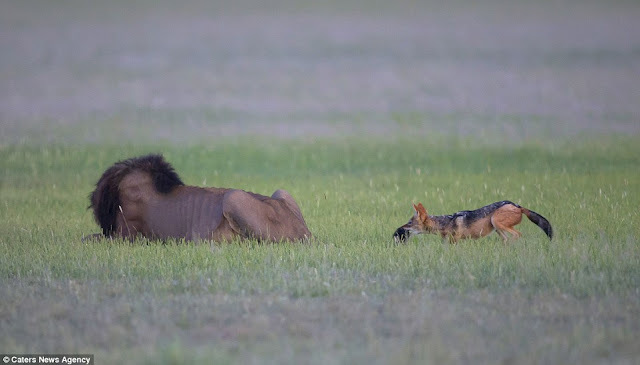 Responses to "African Golden Wolf Sneaks Up Behind A Lion And Bites Its Tail"
Lion looks starving to death!